India don't deserve the series scoreline 4-1 but they'll do well to look at the deeper issues and deal with them properly. We shouldn't be as surprised with India's batting failures in England for if we're, we won't necessarily be watching Indian Cricket closely. Before anticipating the kind of performance that a team should give in overseas conditions, we must carefully look at the last tour for that side in that set of countries because it so often is a perfect indicator and a sign of things to come. 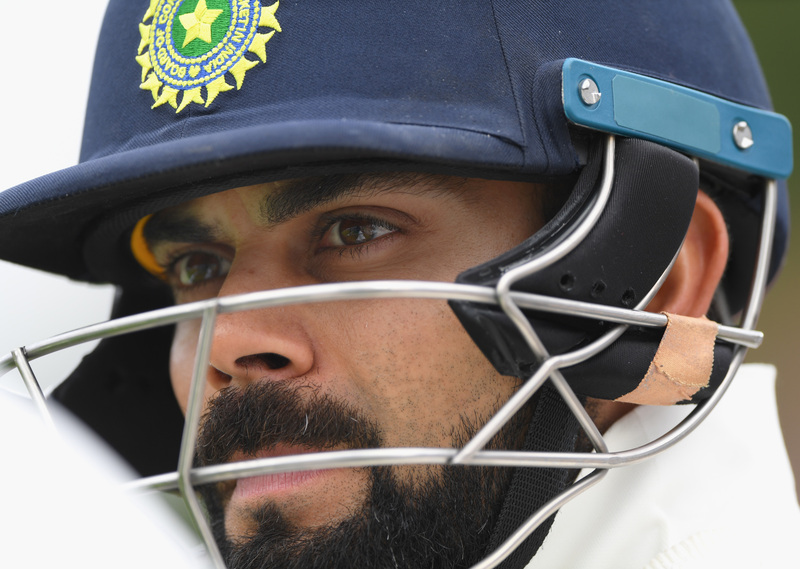 Signs were there in South Africa earlier this year, where India's batting, either side of Virat Kohli, was brutally exposed in tough swinging and seaming conditions against a high quality pace quartet. It was there in the rainbow nation that we got an idea of where the same players stand with their games in the SENA countries after three long years in the familiar realms. After finishing off that long overseas season in 2014-15, India, from June 2015 to December 2017, played 31 Tests and all of them either at home or in Bangladesh, Sri Lanka and West Indies. The problem with having such a long period of playing in one kind of conditions is that it becomes very difficult to change the basic instinct and yes, even the technique, in a short span of time for the other. Only exceptional players in their prime can do that. The ball doesn't come in straight lines - in the air and off the pitch - overseas, like it does in Asia. This is where India lost Murali Vijay, who spent his precious prime years playing cricket of not-so-great standard and was no longer technically apt for the overseas challenges at the highest level. You can see in the way Ajinkya Rahane bats these days and it can easily be gauged that he is not the player he was three years back. This is by no means is a suggestion that, like Vijay, he shouldn't be part of India's plans for the future. There is a lot of cricket left in Ajinkya Rahane. His issues, from the big evidence of this series in England, are more mental than technical. You can see in the way Rahane approaches the ball at the crease these days that he is tentative and isn't as confident as he needs to be. 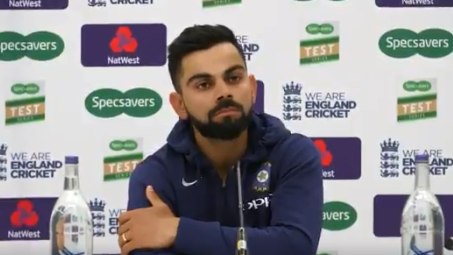 Although, you can see that having been given a clear indication of his limited-overs future by selections either side of this Test series, has helped him - vintage innings of 81 at Trent Bridge and a very assured 50 in Hampshire - but he still needs an arm around his shoulder from the right people and decision makers in Indian Cricket. Rahane was still the third highest run-getter of the series for his team. This is exactly the kind of backing and confidence India needs to provide to young KL Rahul. His immense skill and ability, which was perfectly reflected in the kind of starts he got and the possible career-saving hundred in the last innings at The Oval, should be good enough for him to be persisted with. The other reason why India must back Rahane and Rahul is their technical correctness, the same can't be said about the likes of Shikhar Dhawan and Cheteshwar Pujara. 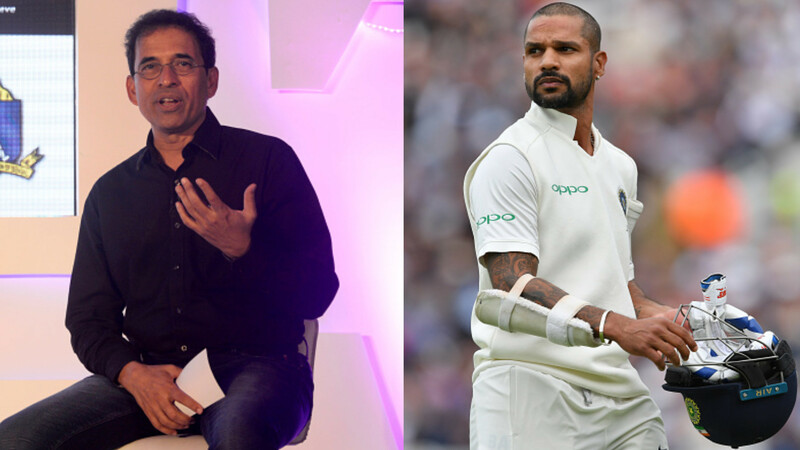 Temperamentally strong and admirably passionate Dhawan, has way too many technical issues with his batting to succeed at the Test level. Pujara, again, a very likeable person in general, has scored a great hundred in the series but there's a reason why his average outside Asia is well below 30. Pujara is a classic example of how runs in India and Asia, have basically no relation with a batsman's prowess overseas. 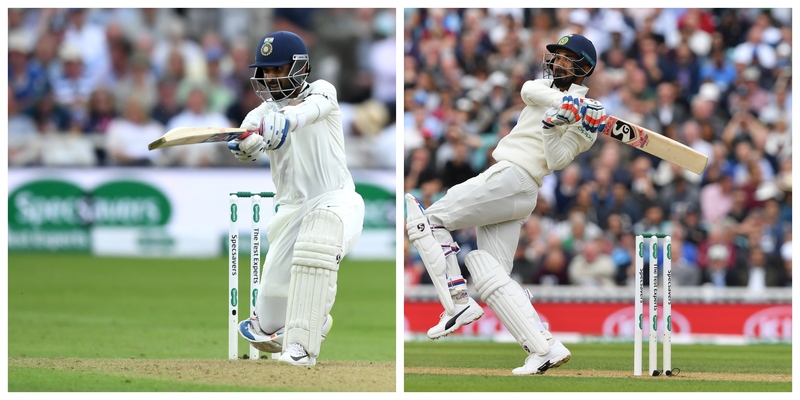 India needs two batsmen, either side of Virat Kohli at no.3, KL Rahul opening and Ajinkya Rahane at no.5, going forward, who have a solid defensive game against both lines of the ball and a rare and wise habit of leaving the ball in modern-day cricket. If you can't leave, you can't score runs overseas, period. The other important slot that India must make a futuristic decision on is no.6. 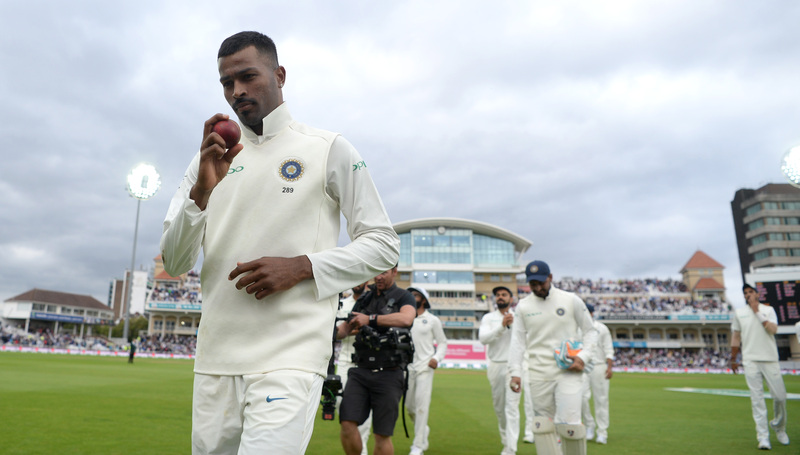 While young Hardik Pandya, who has been picked undercooked and underdeveloped, with only 23 first-class games behind him, has through sheer raw talent bowled a matchwinning spell in Trent Bridge and has shown good amount of batting ability, he is simply too inconsistent for the team's liking and it's balance. Test Cricket is never the right place for people to learn their trade. If India wants to see Hardik develop as a player, he must play as many red-ball games as possible, at a level below Tests. This is where Hanuma Vihari, who averages 59 at the first-class level and having gone through a nervous start in the beginning, scored a well organised half-century, should be given a long rope and must bat at no.6 against the West Indies at home. It's amazing how every skill employed in Test match Cricket is so unique from the way it is used in ODIs and T20Is. Wicketkeeping is a prime example. The ball barely goes past the batsmen these days in One-Dayers but in Tests, unless you're a quality gloveman, you'll be found out very quickly. 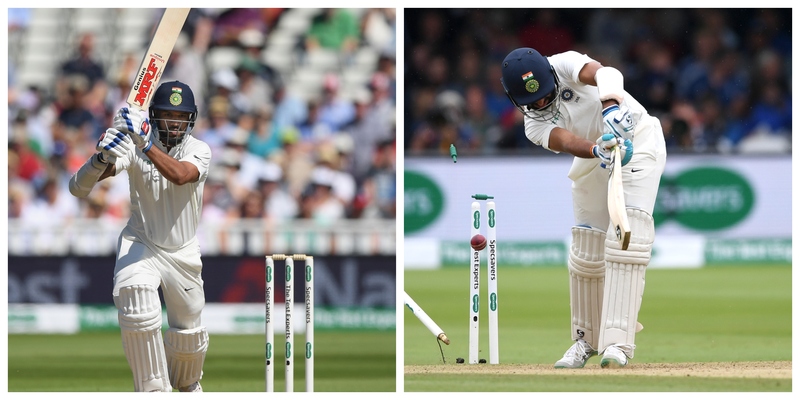 This is exactly what happened to young Rishabh Pant, who looked quite good in Trent Bridge but his basic technique as a gloveman was exposed. The runs that Pant scored at The Oval, as good they are for the confidence of an inexperienced and talented player, should mean nothing as India searches for a quality wicketkeeper after this series. Suddenly, we are into a situation in Indian Cricket which we would never have imagined once, where the batting isn't inspiring the kind of confidence which the bowling does. While India messed up the situation regarding Bhuvneshwar Kumar very badly, and Jasprit Bumrah was lost playing a meaningless T20I against Ireland, it's incredible the way Ishant Sharma bowled right throughout the series. He has come a long way from the #UnluckyIshant we had so depressingly become accustomed to in his early years. Since 2014, Ishant has bowled fuller and in reward, has the best record for a visiting fast bowler in the SENA countries. While praising Ishant, it is a must mention of just how world-class Jasprit Bumrah is. Bumrah, it's amazing, bowls like a veteran would, so early in his career. His 5-fer in the fourth innings at Trent Bridge exemplified what the young and admirable fast bowler is about. There's a lot of skill but Jasprit is temperamentally very strong too. It is his body that India must treat with utmost care, though, for, as Michael Holding mentioned, he doesn't use as much his run-up as he does his shoulders and body strength during the delivery stride. Talking about body and fitness, Mohammad Shami lasting a full five-match Test series is a pleasant surprise for everyone around. Shami is the most gifted of the lot but his notorious habit of giving away a freebie every now and then, has stopped him from becoming a genuine wicket-taker in all conditions. It wasn't necessarily the case in this series, though. He deserved about 15 wickets at the Oval alone, for the number of times he went onto beat the bat against England's top as well as the lower order. One of the decisive difference between the two sides was the runs that England's lower order scored. It is here that, much like Shami, India's bowling and really the team, deserve so much more than they got for their efforts. Batting ability of England's lower order and India's bowling against them are two separate things. Latter's performance against the former wasn't rewarded well enough. Very rarely, this has happened even across a five-match Test series. You have to only look at the innings that Jos Buttler played at The Oval to find a perfect example. Buttler scored substantial 89 runs but his knock wasn't a great one at all, for he was not in control of many of the balls that he faced. In another game and series, Buttler would've easily edged the number of balls that went past his bat when England were 210/7 on Day 2, they eventually reached 332. This is also a fine example of how the mental aspect of the game comes to the fore. Imagine a bowler letting go 10 balls at a no.8 who can bat and seven of them passes the edge, the bowler then invariably gets frustrated and bowls one loose ball which results in four runs and when this period goes for a substantial amount of time, it makes a big difference in the eventual outcome of a cricket match. This is what happened in Birmingham and Southampton, England were 87/7 and 86/6 but India lost by 30 and 60 runs. In another series, young Sam Curran, who has decent amount of batting ability, wouldn't have been able to play the kind of knocks that he did. Curran averaged just less than 40 in the series. This was one of those series for Indian fast bowling. They'll have to accept what actually was rather than think what could've been. 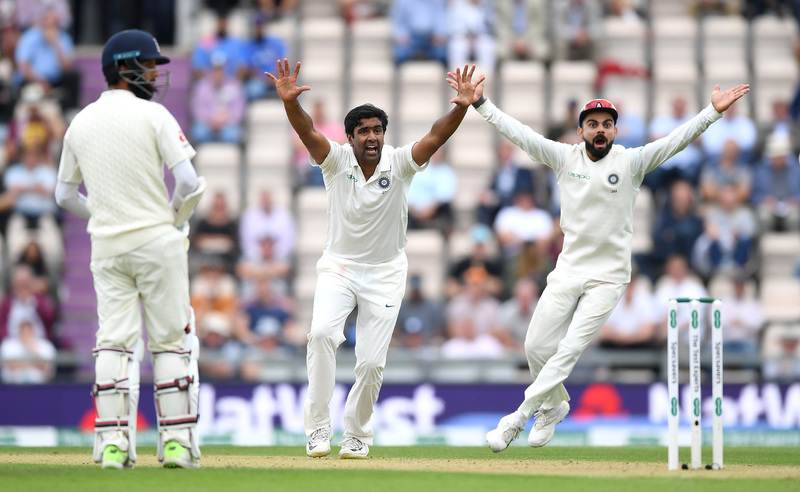 On the spin front, there was widespread criticism of Ravichandran Ashwin when the off-spinner failed to make the kind of impact that he should've. This is not the first time Ashwin has failed to perform like you expect from a highly skillful bowler outside Asia. Now, it has to be said, the time has come for India to make a decision regarding who their main spinner is overseas. Ravindra Jadeja is a top class Test spinner and he also deserves the kind of backing and weight of confidence that Ashwin invariably gets when Virat Kohli plays only one spinner. 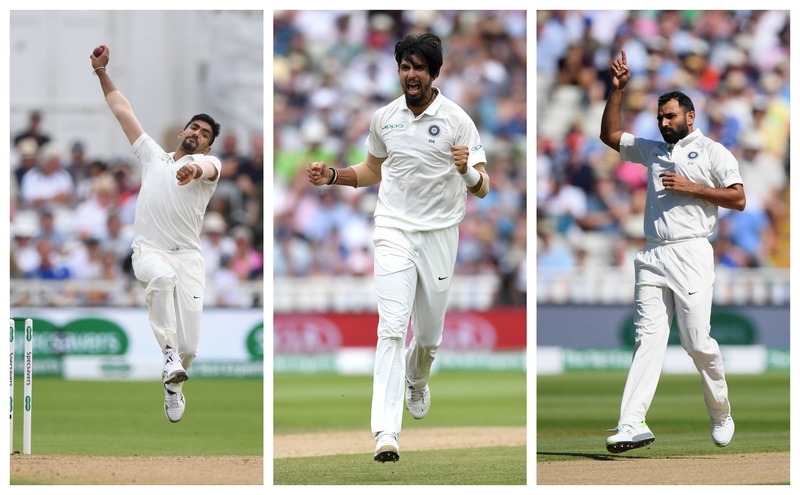 There's a reason why, despite being away from competitive cricket for one and a half month, Jadeja got 4/79 bowling mostly on Day 1 at The Oval. Also, watching Ashwin closely you can see that he has gone down and not up with his game in the last three years. This is where young Kuldeep Yadav doing well against Australia A, should be a welcome development for the selectors and the team management. Against West Indies, India must play Jadeja and Kuldeep as their two main spinners. 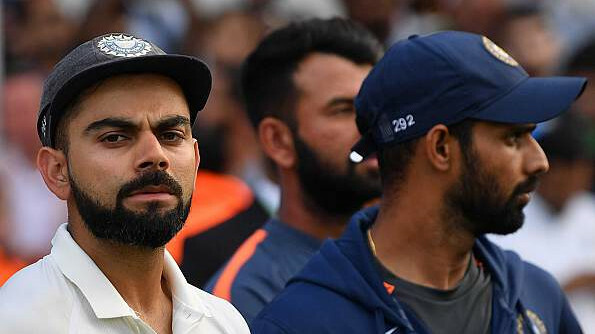 Mind you, with cricketing reasons, this is a much better spin duo than Kuldeep and Ashwin would be and playing Ashwin and Jadeja together in home Tests anymore wouldn't be a sound futuristic decision either. But still, India has much bigger issues to deal with than the series scoreline. 4-1, with a lot of close encounters, might tell India a lot of rights about themselves but they'll do well to dig deeper into the problems. This is time for reflection, assessment, decisions and moving forward. If the present from here on is approached with honest intent, there will definitely be no darkness, for there is light at the end of this tunnel.